A Moment on Earth 3D! On August 5th, 2004 at 12:00 Noon GMT and again exactly 12 Hours Later, 60 Filmmakers from around the world set out to capture a single Moment on Earth. 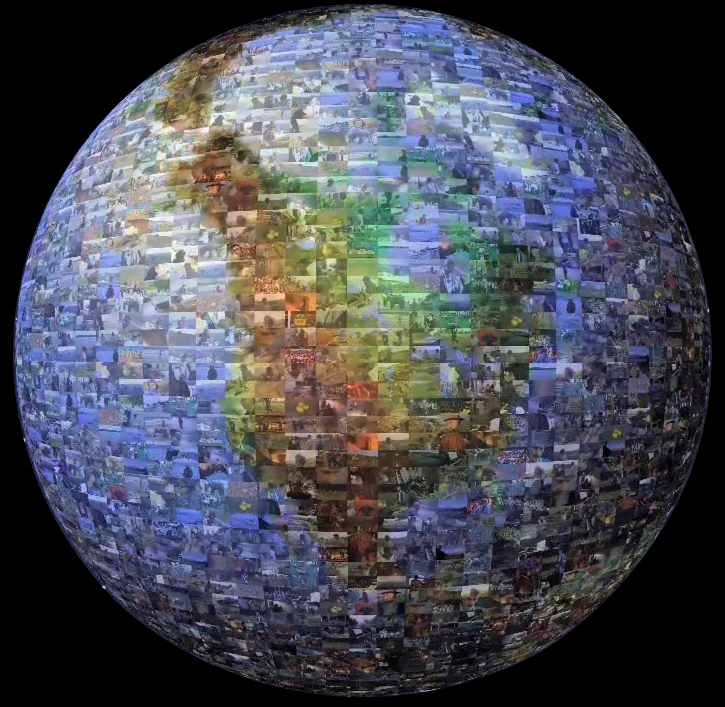 Our friends at Picture Mosaics used snippets of footage from the first film to create this 46 second 3D Moving Mosaic of our world. A new way to look at A Moment on Earth. Music is Sensual by B-tribe. Get the DVDBook here.